Adventurous Feet: SEAIR now flies to Laoag! Southeast Asian Airlines, Inc. (SEAIR) has announced its newest destination, Laoag, started flying last April 4, 2013. Flights will originate from the Manila Domestic Airport or Ninoy Aquino International Airport (NAIA) Terminal 4. 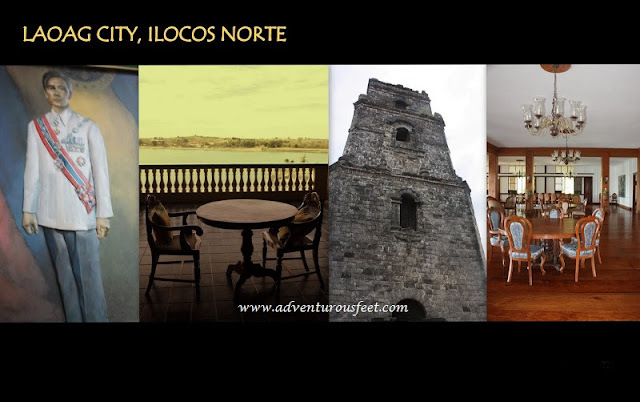 Laoag is also the best jump-off point to some of the most breath-taking sights and destinations in the north such as Kabigan Falls and Blue Lagoon Cove in Pagudpud; the windmills in Bangui; Paoay Lake National Park, UNESCO World Heritage Paoay Church, and the Malacañang of the North or Balay ti Amianan (former President Marcos's official residence in Ilocos Norte) in Paoay; Cape Bojeador in Burgos; and the Sand Dunes of La Paz. 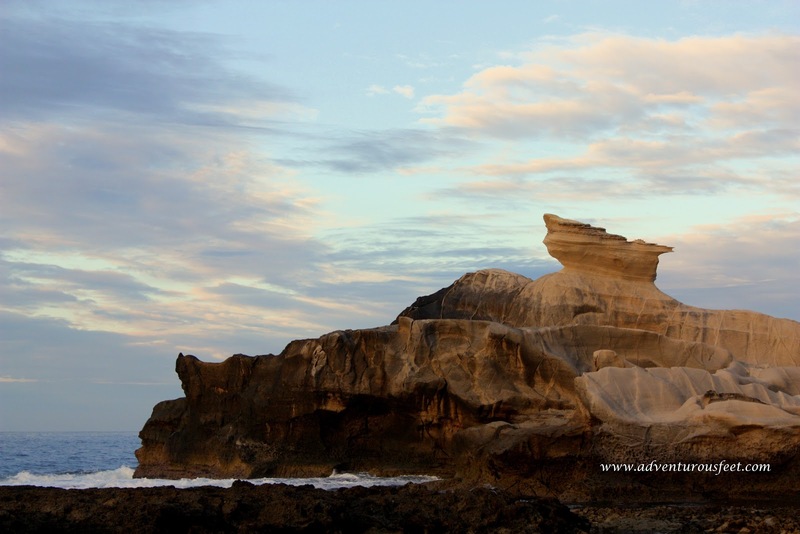 Kapurpurawan rock formation is my favorite spot in Pagudpud! This is a must when you're in Ilocos! Visit Ilocos now via SEAIR! SEAIR will offer daily Manila-Laoag flights scheduled at 1:00 p.m. and Laoag-Manila flights at 3:00 p.m. It uses new A319 and A320 aircraft, which can accommodate up to 180 passengers. SEAIR is offering introductory fares to Laoag at PHP 699 for travel until June 30, 2013. Passengers must book their tickets via www.tigerairways.com to avail of the special rates until April 8, 2013. SEAIR is a 40-percent-owned associate airline of Tiger Airways Holdings. SEAIR adopts Tiger Airways’ business model and offers value fares to domestic and international destinations within a five-hour flying radius of the Philippines. SEAIR CEO Olive Ramos unveils SEAIR’s vision to become a major player in the industry. What brings you to Laoag? Laoag is becoming one of the fastest growing cities in northern Luzon in terms of investment, business activities, job opportunities, and tourism. Last year, Ilocos Norte received 680,000 domestic and foreign tourists during Holy Week alone. We see Laoag as the gateway to the many beautiful tourist destinations as well as historical and cultural sites in the north. SEAIR starts flying in and out of Laoag daily starting today. Manila-Laoag flights are scheduled at 1:00 p.m. and Laoag-Manila flights at 3:00 p.m.
Are there plans to make Laoag a regional or domestic hub? There are no plans for the moment but we are just as excited to be part of the growth in Laoag. Our main service hub right now is based in Clark Airport, and maintains our fleet of five Airbus 320 and 319 aircraft. The next hub to open will be in Manila. How will you compete with more established airlines that have been flying in and out of Laoag prior to SEAIR's arrival? We always focus on customer service - providing our passengers a most pleasant and convenient flight experience, and offering very competitive fares. With Laoag being the center for business and trading in the province and its enviable proximity to a variety of attractions in the region, SEAIR is targeting the MICE (meetings, incentives, conferences, and exhibitions) market as well, which is becoming a new focus in the city with the establishment of international-standard road system and infrastructures, such as the Laoag International Airport. The training of our pilots and cabin crew are at par with international standards, which enables us to provide passengers with the best inflight experience. What is the competitive advantage of SEAIR over other airlines? SEAIR has been a pioneering airline in building choice destinations across the country and the first to be ISO-certified. We have helped develop Boracay and northern Palawan into major tourist destinations. We will continue our pioneering legacy by providing safe and enjoyable flight experiences, increasing direct flights to more destinations, and offering the lowest fares possible. Currently, SEAIR has the most number of flights in and out of Clark. Southeast Asian Airlines or SEAIR is a Filipino company that is 40-percent-owned by Tiger Airways Holdings. It has adopted the low-cost carrier (LCC) business model to offer value fares to 12 destinations in three countries. SEAIR operates a fleet of two Airbus A319s and three A320s. From Ninoy Aquino International Airport (NAIA) Terminal 4, it flies to Cebu, Davao, Tacloban, Iloilo, Puerto Princesa, Bacolod, and Boracay (via Kalibo). It has recently added Laoag to its list of destinations. From Diosdado Macapagal International Airport (DMIA) in Clark, SEAIR offers flights to Boracay (via Kalibo), Singapore, Hong Kong, and Bangkok. SEAR was awarded “Best Airline of the Year” for two consecutive years, in 2002 and 2003, and in 2009 by the Philippines’ Consumer Excellence Award. In 2010, it was named Gold Brand by the Gold Brands Council Philippines for brand image appeal and trust and market acceptance. SEAIR is committed to offering customers great value fares and friendly service while maintaining the highest standards of safety, security, and reliability to meet the needs of the Filipino consumers. For more information, visit www.tigerairways.com or like the SEAIR Facebook Fan Page at www.facebook.com/flyseair for updates on promotions and new routes. This is great news! More travel opportunities for Filipinos and tourists!